The Kelty SB 35 sleeping bag is a lightweight sleeping bag that’s dedicated to keeping you dry and warm without sacrificing pack space or weight. 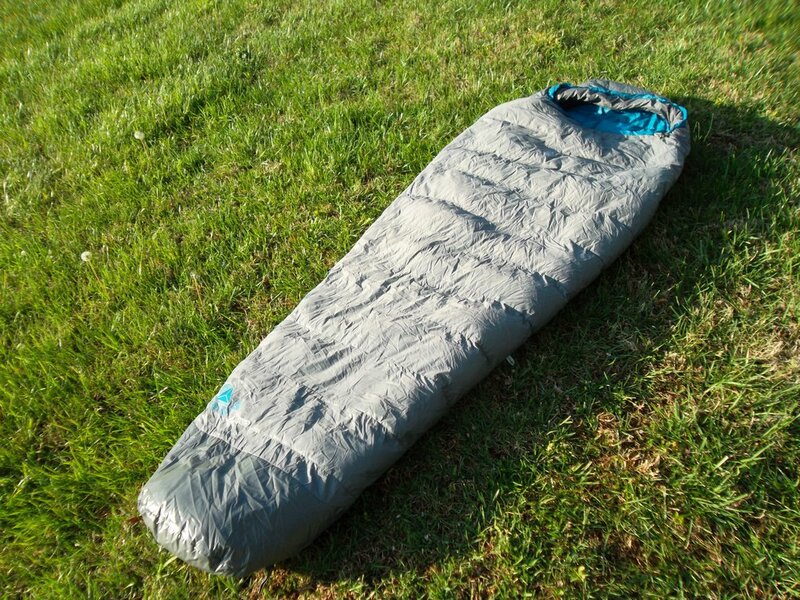 The sleeping bag weighs a skimpy 1 lb 9 oz, and has a total fill weight of 13 oz. 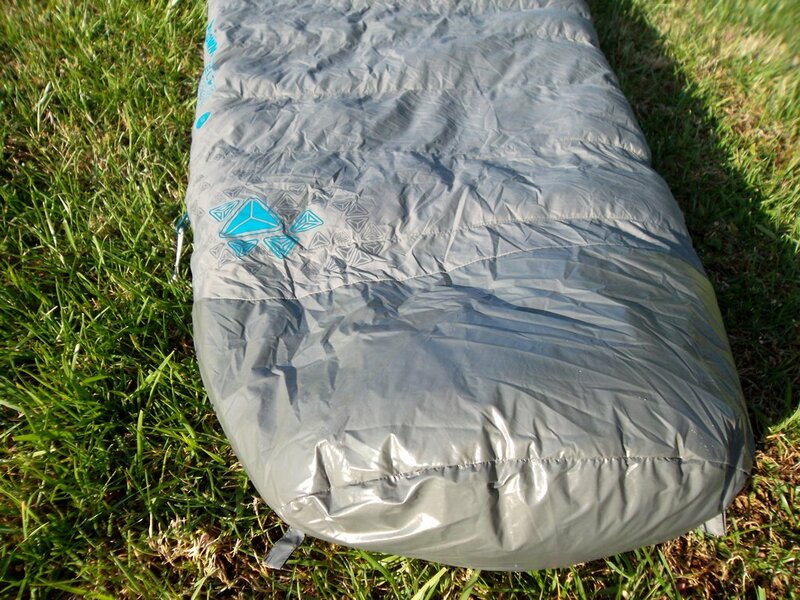 The sleeping bag material is a soft, light weight nylon to improve comfort and reduce weight. Not only does the Sb 35 have 800 fill dry down to keep you dry (lofty and water-resistant), but the head and foot of the sleeping bag is coated in a water proof layer to keep tent condensation off your feet and scalp while you sleep. The SB 35 is priced at $249. 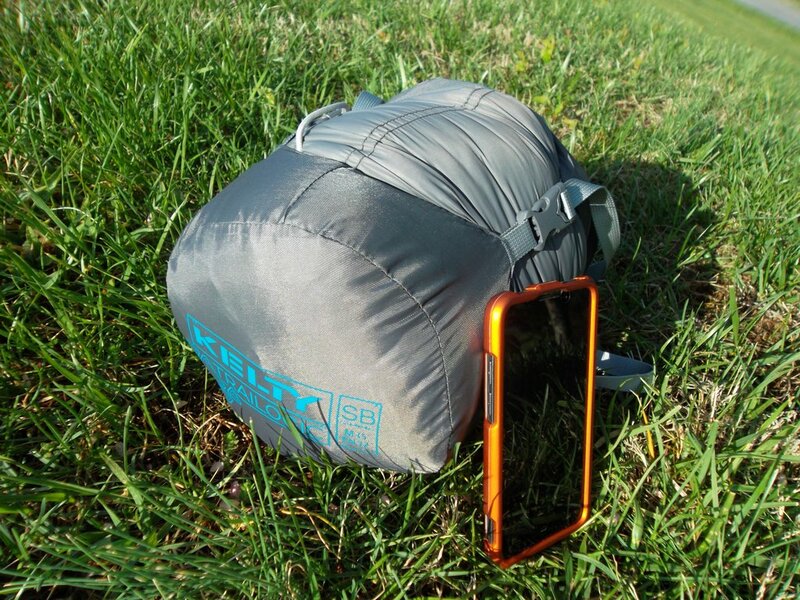 The sleeping bag itself is really, really light. The 800 fill down minimizes weight while increasing its ability to keep you warm. 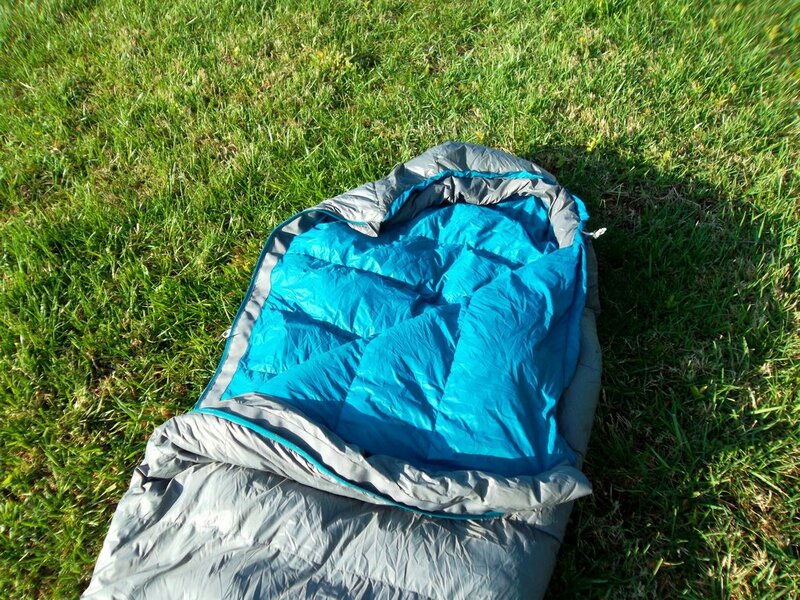 I tested this sleeping bag into the high 30’s in the damp smokey mountains just after a rain, and I found myself completely un-zipping the bag and using it as a quilt. It was a comfortable, surprisingly well regulating warmth. I never felt the need to zip up at all. The material feels great against the skin, and the bag has a high overall cuddle factor. I intentionally smeared the feet and head against the single wall sections of my hybrid tent to see if I could make it soak up some water, and I didn’t manage to pick up any condensation at all through the waterproof sections. Upon waking up with a good deal of condensation in the tent I was still completely dry, so I tried again, with vigor. Dry again. My camping partner wasn’t so lucky. My feet were surprisingly warm in this bag also. Much appreciated. The zippers worked well, and the draft collar around them was nearly flawless. The included cinch sack was great, and the entire sleeping bag packed so small in its own compression sack I didn’t even feel the need to compress it. When compressed (for giggles) it was tiny, at 10” x 7”. 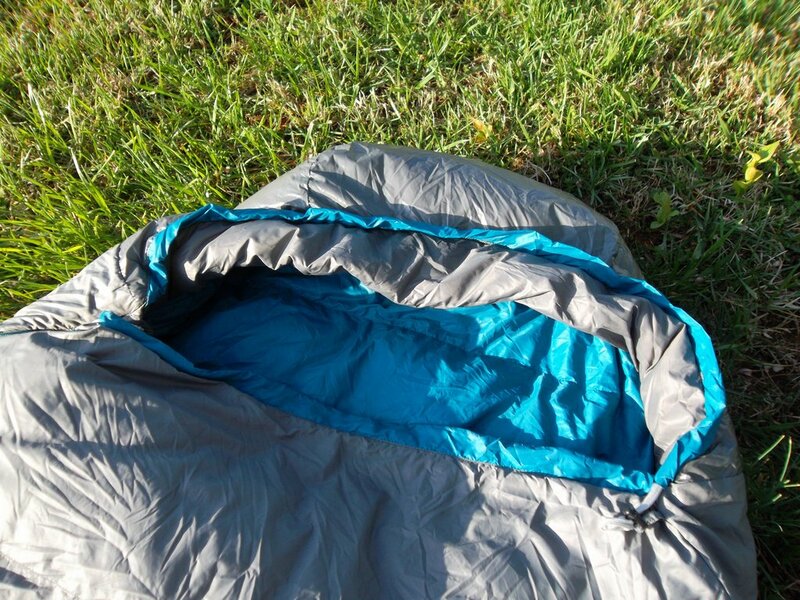 A second zipper to allow you to turn down the left side of the sleeping bag just a bit would be nice. That’s all I have…seriously. If you’re looking to cut weight, want a traditional style mummy bag, or are concerned with getting condensation on the foot box of your sleeping bag, this is a strong contender.